Haters gonna hate. It's a truism of modern pop culture. And a less-known corollary of that rule is that critics are gonna criticize. It's what they do. The problem for said critics? 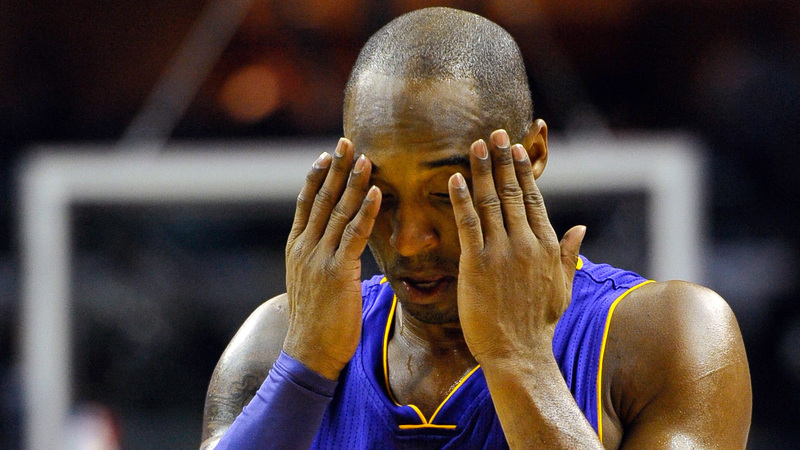 If they level their barbs against Los Angeles Lakers guard Kobe Bryant, they're going to get ignored. Seemingly unprompted by any major criticism, Bryant tweeted on Monday that his reaction to critics is the same as his reaction to the time the Milwaukee Bucks tried to scare him with an inflatable Bango the Buck mascot — stone-cold poker-face. It's a new take on Bryant's "count the rings" response in the past. But it does leave one wondering: Is this all fallout from D'Angelo Russell saying that Tracy McGrady might have been the greatest, not Bryant?